Southall garage's brand new RT3570 on route 120A stands at Hounslow Heath, ready to set out for Greenford. 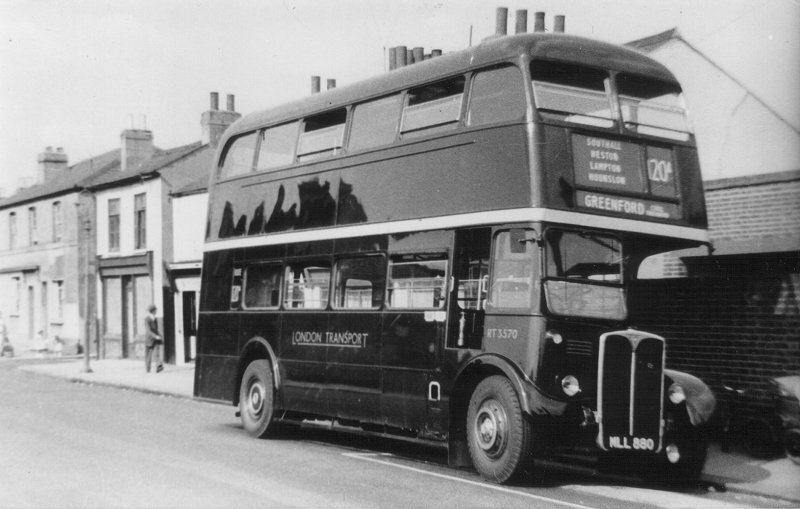 The route was withdrawn in 1957. This little section of the site gives some background information on London Transport's operations that is of more general relevance than just the RF routes. Also in this section are pieces chronicling the changing terminal arrangements at Kingston and Finsbury Park. Additional topics may be covered in future - if there are areas that you would like to see, please let us know. Same place, different era. 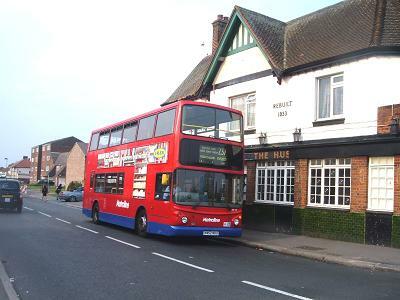 Seen on the 30th anniversary of the last RFs on the route, 16 April 2007, Metroline Brentford's Trident DT12 stands at the Hounslow Heath terminus of the 237, the western end of the route since 1996.